At Cosmetic & Family Dentistry, we’re not only continually improving ourselves, but our office as well. Dr. Deborah Romack and Dr. Garrett Mulkey frequently update our office with the latest technology so we can always provide our patients with the highest-quality of care. With the newest tools available, we can treat our patients faster and make them more comfortable at the same time. If you’d like to know more about the tools we use every day to serve Weatherford smiles, be sure to contact our office today. 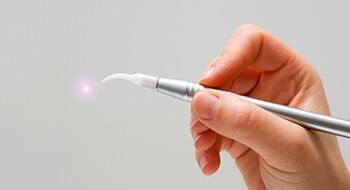 When most people think of lasers in dentistry, they think of soft or hard tissue lasers that are used in surgery. The cold laser, however, has a different purpose. It employs a special type of light to stimulate physiological responses that encourage healing and reduce pain. 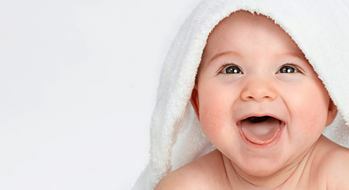 We may use a cold laser to ease TMD symptoms, prevent complications following an extraction, relieve facial soreness, reduce nausea and gagging, or numb a child’s primary teeth. Have you noticed that your baby has difficulty feeding or that they sleep with their mouth wide open? They may have tongue tie, a condition that restricts free movement of the tongue. Dr. Romack uses a CO2 laser to quickly and painlessly free the tongue. This simple procedure can improve your child’s quality of life right now and prevent future complications, including improper teeth development, speech problems, and obstructive sleep apnea. 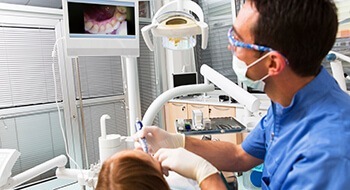 Intraoral cameras allow the patient and the doctor to take a “video tour” of the mouth. Built in magnification allows the patient to take an active part in their own diagnosis and treatment planning. The “video exam” allows you to see each of your teeth individually on a monitor. 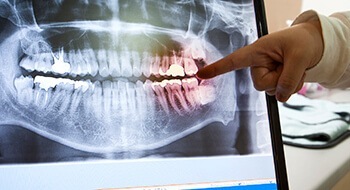 The doctor can then thoroughly evaluate your mouth for a variety of conditions such as: cavities, old fillings where bacteria are getting in, broken teeth, microfractures in teeth, periodontal problems, tartar, plaque, etc….The intraoral images allow for the diagnosis of problems that may go otherwise undetected until a bigger and more extensive problem occurs. In our practice, we currently use state of the art digital radiographs. One of the biggest advantages of using digital x-rays is it allows your doctor to immediately look at the image during treatment. The doctor can also enhance the image to help form a better diagnosis. Digital x-rays also allow easy communication between practitioners as an image can be sent in a matter of moment. The biggest advantage to the patient is a reduction in radiation. There is approximately 70 – 80 % reduction in radiation using digital versus conventional x-rays. This is truly an amazing tool! With the iCat CT/Cone Beam Scanner, we can produce a full 3D image of your mouth and jaw. The scanner itself is attached to an arm on the ceiling that completely spins around a patient, and it can take hundreds of unique images in a matter of seconds. With the help of sophisticated software, these images are then used to create the 3D model. 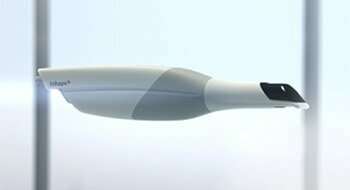 It helps the doctors plan treatments with extreme precision, which helps ensure their success and minimize recovery time. Not only is there a dramatic reduction in radiation with the ICat, but the images are vastly superior to conventional x-rays. The doctors can visualize the sinuses, the airway, the nasal passages, the jaw bones, the teeth, the jaw joints and the cervical vertebrae. These images greatly enhance our treatment planning of dental implants, orthodontics, TMJ therapy and Oral Appliance Therapy for Obstructive Sleep Apnea. This enables us to take an impression of your teeth without having to use dental putty. The gooey putty was very uncomfortable for many patients and even caused some to gag. With the Trios Digital Impression Scanner, you not only get a much more patient-friendly experience, but it also creates a much more accurate model of your teeth. Along with being extremely easy to send to the lab, this drastically cuts down on turnaround times for procedures like crowns, bridges, and other restorations. 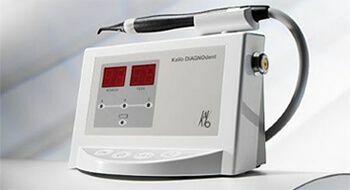 The introduction of lasers to dentistry has been one of the greatest advancements in the past few years. With the Picasso Diode Soft Tissue Laser, we can treat advanced gum disease faster and more painlessly than ever before. It can quickly eliminate built up plaque and bacteria from the gum line without affecting the surrounding gum tissue. 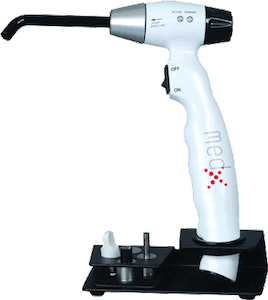 This drastically cuts down on a patient’s discomfort both during and after the procedure and helps shorten their recovery period. In the past, the only way to detect a cavity was with a visual exam. While these are often effective, it required that a cavity be advanced enough that it could be seen by the naked eye. With the SoPro Cavity Detection System, this can now be done digitally. Using a light, it can digitally detect even the smallest signs of tooth decay, enabling your doctor to treat you much sooner and conservatively before a cavity even forms. 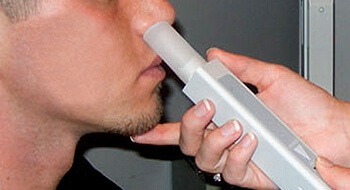 A rhinometer is a device that uses acoustic reflection (sound waves) to map the nasal passages. It is used to detect the causes of nasal obstructions such as a deviated septum, enlarged turbinates, polyps, allergic rhinitis, and more. When assessing the airway of patients that may have a prospective sleep breathing disorder, it is important to evaluate the patency of the nasal airway. 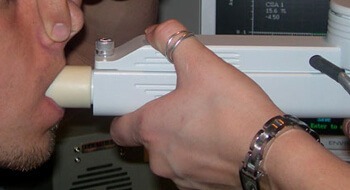 A pharyngometer works in the same way the rhinometer does; it uses acoustic technology to map the oral airway. It specifically notes the cross sectional area, collapsibility, and problem spots within the throat. This is of great importance in detecting a patients potential for having obstructive sleep apnea or another sleep disordered breathing problem. 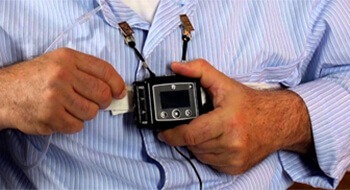 It is also used to monitor the physiological changes in the airway as an oral appliance is introduced. 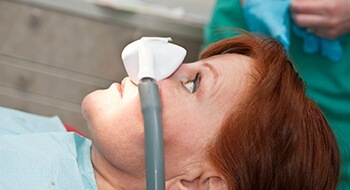 This way, Dr. Romack can maintain maximum airway patency with the oral appliance. This machine allows us to give you a sleep test at home, and it is an important tool in figuring out the right treatment for those patients who are suffering from sleep apnea. It is used to calibrate the custom-oral appliances we make and lets us know they are helping our patients breathe normally and sleep peacefully. It’s just another way our team goes the extra mile to make sure our patients are getting personalized treatment.